Those who follow the tech world probably spent yesterday afternoon anticipating the big announcement at Twitter, which turned out to be a few new features, slightly different UI, and a bunch of improvements on the back end that no one can really see. Ninety million tweets a day is nothing to cough at, but it’s no surprise we’re seeing major feature-convergence between Twitter and Facebook. The one thing in common seems to be the experience of sharing and talking about media. From links to videos to pictures, anything and everything we come across online can now have a near real-time stream of global conversation associated with it. Except books. Twitter got on this trend by adding a pane on the right hand side of the tweet stream where embedded media can be viewed without ever leaving the site or missing new posts to the stream itself. The only thing missing, which most tech people probably don’t notice or care about, is books. You can see excerpts from articles and web pages, or watch videos pulled in from YouTube, or see shared images, but it seems odd that one of our most interesting, vibrant and compelling forms of media is missing. Why can’t we embed an excerpt from a book in our tweets, and have it display in the right hand pane for our associates to comment on? What do we blame for this omission? Lack of user demand? DRM? Formats? Lack of available content? It’s not true that book content is lacking online. Amazon’s Look Inside preview, Google Books, Feedbooks, the list of sites with full and partial books available in browsers goes on. And plenty of small technology companies (like us) are making books fully integrated with the Web, giving each paragraph its own URL. Smart people have built software that unpacks and renders Epub files right in the browser. Epub itself is an encapsulation of Web technology. So why should books lag so pitifully far behind other forms of media, to the point that they’re completely ignored by one of the most important communication tools we’ve invented in recent years? People may not know that they want book content to be seamlessly integrated with the rest of the Web, but once it’s there, they’ll see a new dimension to what the Web actually can be, and they’ll never want it to go away. The permanence of books is something entirely fresh among the billions of temporary URLs meant to last only a short time. How useful it would be to allow them to start accruing social capital in the form of Twitter and Facebook discussions, the way we’re already doing with other forms of media! That kind of data, built up over time, will stay relevant much longer than the latest Tweet stream about the latest YouTube meme. The answer seems to require an entire book to explain. My gut feeling, after having struggled through discussions with publishers, is that not enough important authors, agents, and publishers want to see this happen. They see no value in it, and are simply afraid of the consequences. Publishing is an old and powerful empire in decline, and stupidity reigns supreme among the top decision makers. Couple that with a willful ignorance and contempt of Web technology, and you have a deliberate sabotage of an almost perfect container for human thought, while in the meantime other media and technology advance in step to further the irrelevance of our beloved Book. It’s quite possible that we’ll see, over the next fifty years, a strain of thinking we could call “Web thought” overtake what might be called “Book thought,” eventually eliminating it completely. The idea that any work created by an individual needs to be monumental and self-contained is already under attack, and generations to come might consider it a fairly primitive concept worth ignoring in the name of progress. Some people, especially among Web-savvy communities, already think this way. Someday the majority of authors might simply consider themselves “Web authors” who don’t want to be contained and aren’t concerned with the permanence of their own work as much as they are concerned about making a lasting contribution to the hive. As an aspiring author myself who has completed many short stories, two novels, and other works I consider things that stand on their own, attributable only to me, and as a reader who appreciates great writing that also stands on its own, I don’t want to see this happen, and I think I speak for a lot of people on that point. But as a technically savvy person, a programmer and web designer, I see it happening already. And I see it manifested in the rapid advance of companies like Facebook and Twitter. Ultimately, I think the responsibility falls into the hands of the users of these services: if they don’t see books as a potentially vital and important part of the Web, the Web will replace them with something else. And if publishers continue to assert that books can remain relevant while disconnected from the rest of the flow of human thought, discourse and experience, then they too will be replaced. 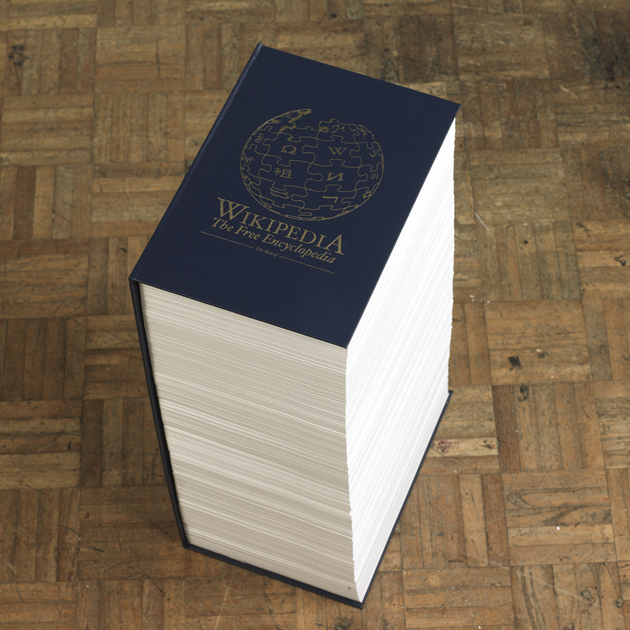 To download the Web and put it into an e-book file, you’d need to download some 550 billion documents. You’d need authorization for all of those, since only 25 billion or so are publicly indexed. You’d need at least a 100,000-terabytes of RAM and a specialized meta-search engine that would act as both a table of contents and index. You’d need a reading system that could support many different content types, beyond even what a standard browser supports. Some kind of e-book operating system would be in order, something that combined all the capabilities of Unix, Windows and Mac OS X into a web browser interface. And you’d need bandwidth. Anything that took slower than a week to download all 91,000 terabytes would be too slow. Everything would have radically changed by then, and you’d have to re-download it. Until we get the technology to do that, it’s safe to say that the Web is not an e-book. It’s something different than a book altogether. But I think it’s also safe to say that books are still excellent vehicles for the kind of things we find on the web. Just as a photograph is a record of a moment in time, full of information that probably changed and shifted the split second after it was taken, a book is a container that creates permanent value from impermanent data. It’s nice to think of the Web as an entity that strengthens its connections over time, builds permanence within its constantly changing layers, takes its own photographs. But the nature of interdependence and constantly shifting connections makes it a poor medium to capture itself. This is why books, even as they become more dependent on the Web, will benefit from their encapsulation and fixity. Books could become the perfect snapshots of the Web. A browser’s cache, something like a book, ends up storing a variety of documents that, in total, represent pathways of interest for a particular user: tours of individual sensibility through a vast maze. A digital book platform could be likewise be an editor’s tool for downloading, storing and collecting the Web. An entirely new publishing industry could spring up from culled and curated content bound together into digital editions, each connected to each other, reflective of the Web and connected to it when possible, but not fatally part of it. It would be a web of books capturing the temporal flashes most deserving of permanence. Perhaps such an ecosystem will become the best alternative to downloading everything. Who will build a tool to make it happen? 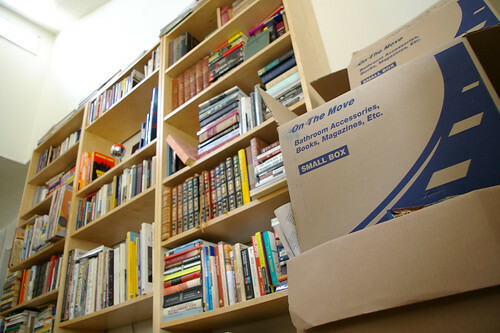 There’s a new service out there that allows anyone to send in their paper books, whole boxes of them, and get them fully digitized and OCRed, where they can then be accessed in a personal archive in a multitude of digital formats. Doesn’t this sound great? I’ve got these old Bantam Classic paperbacks–pages yellowed, glue desiccated–and I’d love to send those in and have them forever as files in the cloud, transferrable to any device I want. There’s something inviting about shipping out all that silverfish food and a week later seeing it pop up in the cloud. The only problem is that this service is not for consumers, it’s for publishers. And it’s not likely that Google will offer it to us, ever. The likely outcome will be that eventually every mouldering tome in our decrepit paper collections will already have been scanned and available — and we’ll have to pay for it again to get it that way. We’ll still have all this decaying paper and not know exactly what to do with it. If there was any sense in the publishing industry at all, there would be some big publisher or distributor who marketed permanent backups of your paper in the cloud. With all the rights, plates, and digital masters, there would be no laborious unbinding and scanning to cut into profits. And surely there are enough people feeding a $50B sector to ensure a pretty large number of lifetime subscribers. This would be a new, renewable source of revenue for thirsty giants. And unlike the pulping of newly minted titles, this would be some kind of sweet vengeance on the first sale doctrine, as used copies were destroyed and taken off secondhand markets forever. But the problem with that scenario is that big publishing, when it comes to digital distribution, tries to force the print process and model on it, over and over. Which is why they’re like the kid on the playground who loses a fight slowly, getting up every time and blindly trying the same moves that got him knocked down. This is despite the fact that they’re outnumbered: Google is punching them in the face while Amazon holds them and Apple gives them a wedgie, and still they don’t seem to learn. How much more milk money will be lost? How much longer do we have watch this happen?